7.5m hose attachment. Clean/ clear, pipes, drains, downpipes and toilets. 4 reverse firing jets propel hose forward to effectively clear blockages. Anti kink sleeve. Brass connections. suitable for K2 – K7. 7.5 m hose attachment. Clearing blockages in pipes, drains, downpipes and toilets. Four backward firing jets move the hose smoothly through the pipe to effectively clear the blockage. With anti-kink sleeve and brass connector for durability. Suitable for use in the home and outdoors with all Kärcher K2 – K7 series pressure washers. 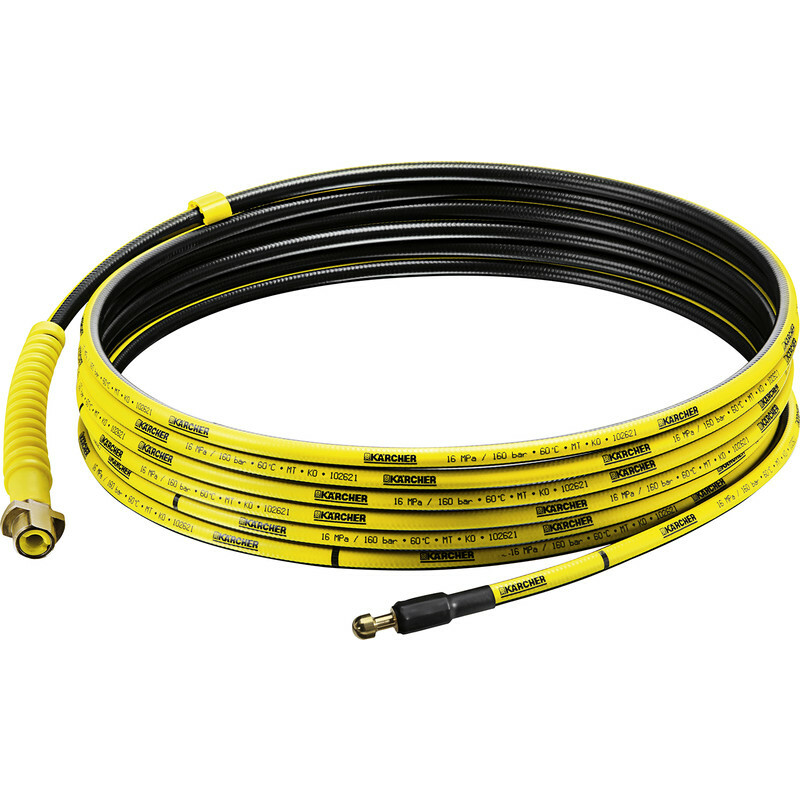 Karcher Pipe Cleaning Kit 7.5m is rated 3.0 out of 5 by 1.